I have lost count of how any records I have in the attic. I used to have a list of them all but I could never keep it up and the list went to one side. So if asked I will say a few thousand and leave it that. If I am asked then inevitably the conversation will move on to what they are worth. The answer is not as much as I would like to think. A lot of them are second hand and they have all been played – at least once – so none of them are mint. And the ones that might be worth something are the ones worth playing so they have been played until the vinyl has worn thin. 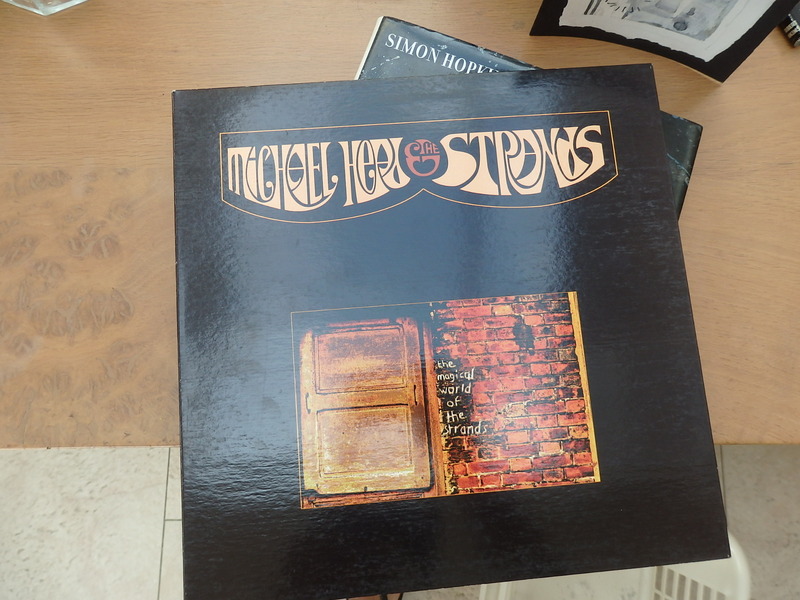 Then on Friday night at one point the conversation turned to Michael Head and the Strands and their album The Magical World Of The Strands. I mentioned I had it somewhere in the attic and was told to look after it as it was now worth a small fortune. After some searching it transpires it wasn’t in the attic but was tucked into one of the other piles of albums scattered round the house. We have been listening to it this afternoon waiting for the sun to come out and wearing out the vinyl. In the meantime out in the garden I have been harvesting some of the garlic. There were four elephant garlic that had grown out of whatever had been left in the ground after last summer. They were more than six feet tall with the bulbs as big and thick as my fist. The rest of the garlic had been planted last October having been bought from a stall at Bantry Market. There are four beds of it and it could probably stay in the ground for another few weeks but I need room to plant out some beetroot so I pulled one of the rows out. These were of a more modest size. They are now hanging to dry in the greenhouse filling the air with there smell.